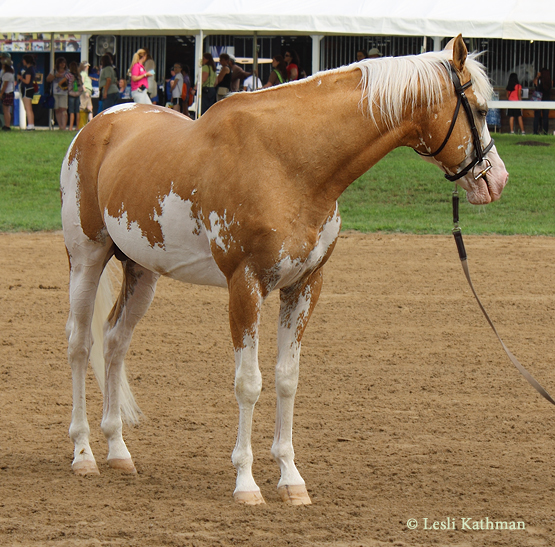 One of the guest horses at BreyerFest this year was the palomino dominant white stallion Sato from Blazing Colours Farm. 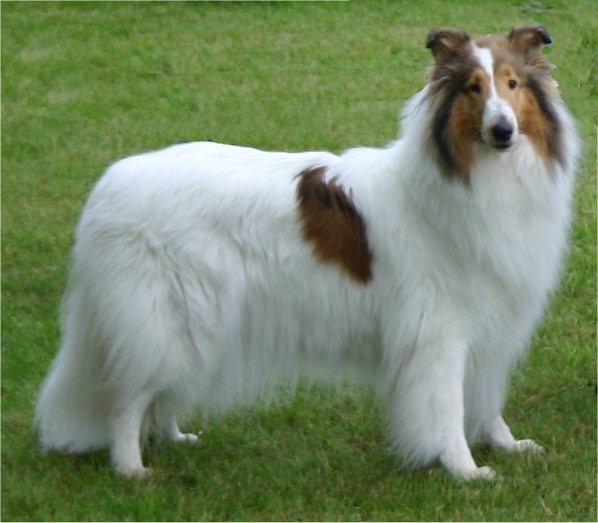 Sato comes from the dominant white family of Puchilingui. So far each of the identified dominant white families have been a separate mutation, and in most cases the originator is recent enough that they are known individuals. 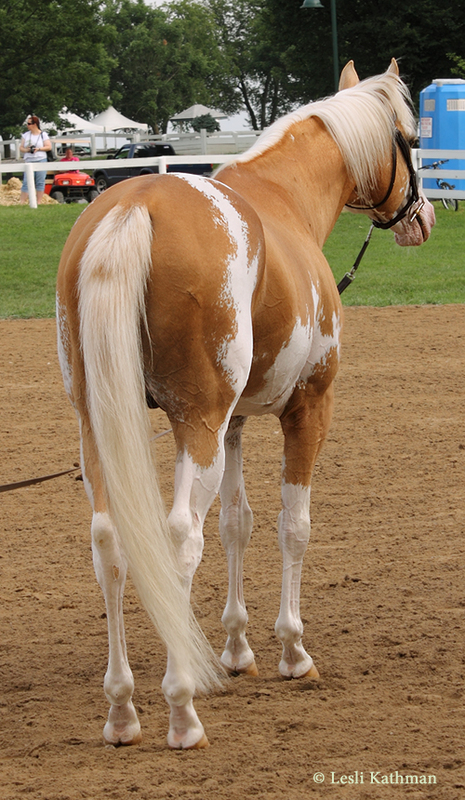 The version of dominant white that originates with Puchilingui, W5, is known for producing a pretty wide range of sabino-like patterning as well as truly white horses. 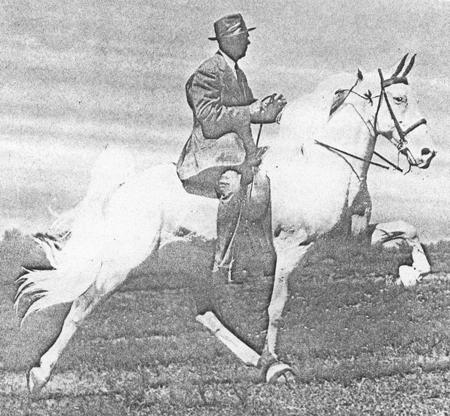 With horses like these, it is easy to understand why breeders use the term sabino when advertising their horses, rather than their technical classification. Mare owners looking to produce pinto patterned foals know what a sabino looks like, and dominant whites of this type produce what looks like a sabino. The “proper” genetic term can be, at least in that kind of setting, unintentionally confusing. In informal settings, it is likely that dominant white horses will continue to be referred to as sabinos. That is what they look like, and that is the term many horse people understand. They are very different though, so in formal settings where genetics are being discussed they deserve their separate names. That topic probably deserves its own post, though. I have mentioned before that I try to be careful about copyrights when including pictures in posts. I get permission before I include photos in the posts, or I link. 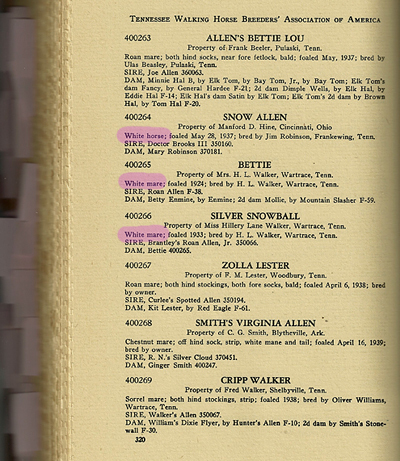 When photos come from other people, I include that information in the text. More recently I’ve been trying to remember to mark my own photos with a copyright notice, just so it is clear where the images originated. If the images aren’t credited, it is pretty safe to assume I have taken them even if I haven’t marked them. I usually take pictures for my own reference and with an eye to images that can help illustrate ideas. They are meant for education – mine or others. For that reason, I don’t usually mind someone using them for the same kind of purpose, but please do ask before posting them somewhere. Also, most of the pictures are uploaded to this site much larger. The images shown in the posts often degrade due to compression, too. Clicking on the image will often take you to a better, larger picture. And finally, if you have taken photos of interesting colors, I am always eager to see them. Clicking on the sabino horse under the “Contact Me” will give you the necessary email address. 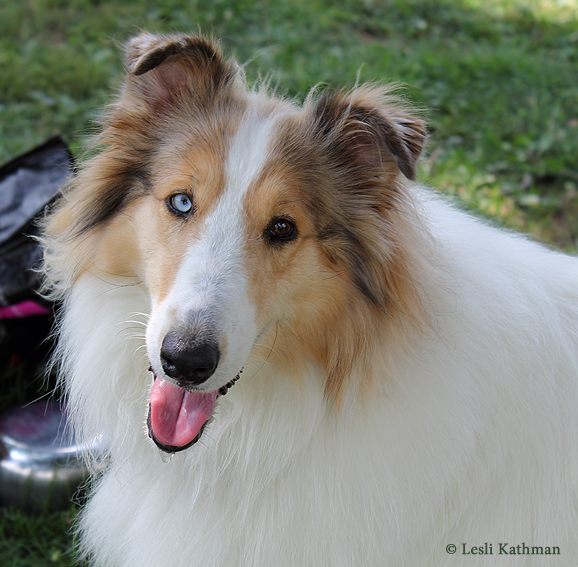 These are great photos of what I thought I had seen in a few other dogs. I have seen speculation that the presence of sable allows merle to act on the red pigment, though I am not aware of any formal research on this. I also do not know if it is possible to find a clear, non-sabled red (yellow) dog with visible merling. 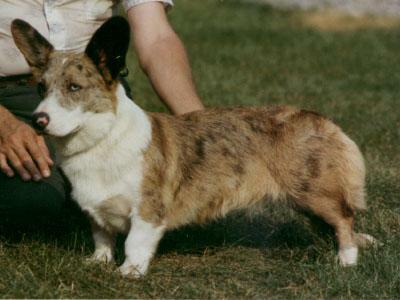 It is also possible that the fact that this particular dog is homozygous plays a role in the merling of the red pigment. This gal is a sable, though she only has a bit of smudging on her ears and face. The question then is why do dogs like this pit bull show merling in the red areas, while Lily (the sable merle Collie from the first post) and most others do not? My Aussie mix, Emma, is a tweed merle. 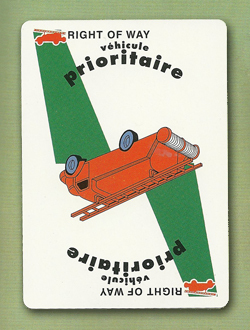 In her case the diluted patches range from a slate gray to a pale brownish gray. 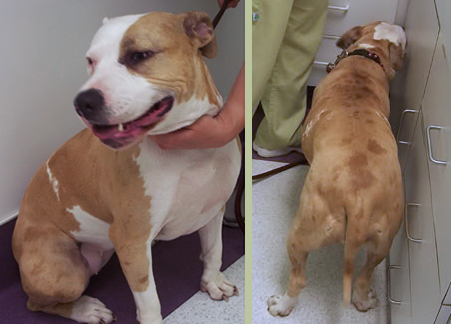 The largest one, which runs down her chest to her upper right leg, is visible in the picture I posted of her earlier. The same area on the other side is diluted, though the patches are intermixed with true black rather than being one large area. Her lower legs and muzzle all have smaller dilute patches, which give her legs and face a warmer tone than the colder silver on her back. 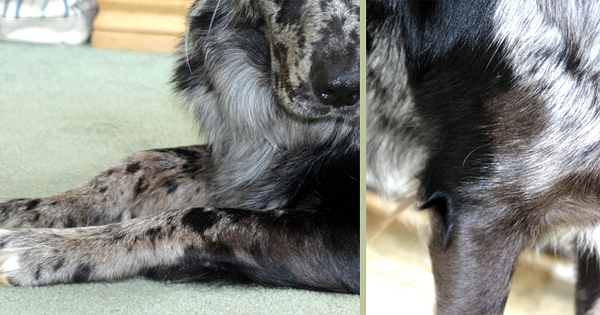 Here are close-ups of the areas that shows the two different tones really well. Because the warmer dilute patches were concentrated on her legs and her muzzle, I originally wondered if she might be some odd black and tan color under her merling, but the black and tan patterns have red (yellow) pigment trimming the black. 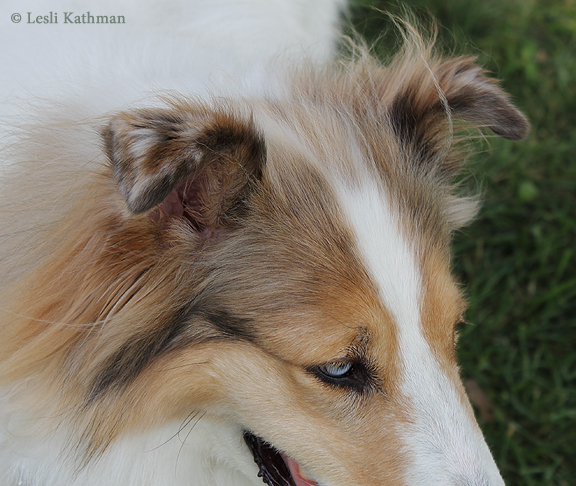 Sometimes the tan (red) pigment is really pale, almost white, but that isn’t what she is. Her lighter areas are quite obviously a dilute of black pigment. Tweed was first identified in Aussies and is thought to be dominant. What isn’t clear is whether all the variations are the same gene. Some merles just have a few diluted spots. Others have many patches of many different colors. Still others have white patches mixed among the colored ones. Those are often called harlequins – a term not especially helpful since it is already used for the modifier found in Danes. They might all be tweed, or they might have different genetic causes. There was an initial study done by Dr. Sponenberg on tweed in 1995, but I don’t think any further ones have been done. And for those with a more technical bent, the original study that identified merle is available here. (As technical papers go, it is very clearly written.) 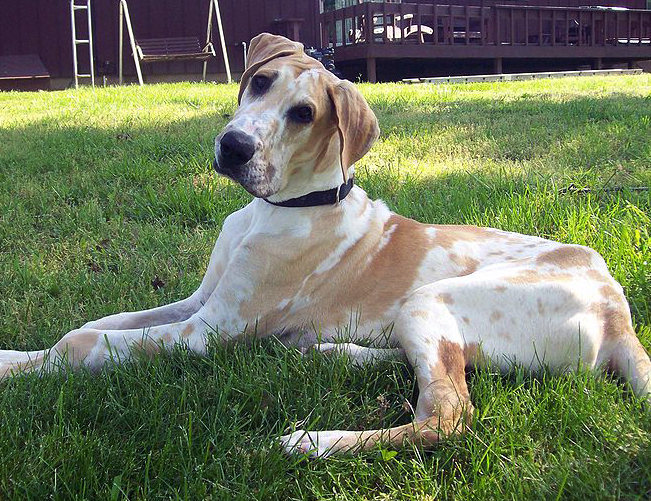 The study that located the (Great Dane) harlequin gene is available here. 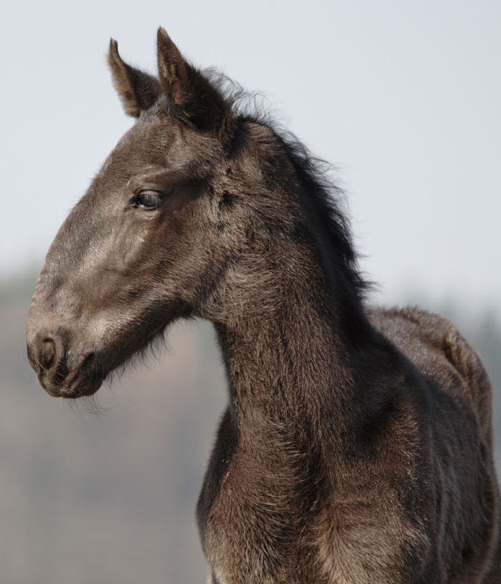 Several people have commented about the convex profiles of the Kladrubers and how they are visible even in the foals. I thought I would share this photo since it illustrates the characteristic so well. The extent of the arch varies from horse to horse, but it does seem especially pronounced in the black horses. As someone who grew up around Walking Horses when this type of head was not uncommon, I find it very appealing. I also received a number of responses about genetic diversity and closed registries, so I thought I would include some links and reference material for those with an interest in the subject. As Sarah Minkiewicz-Breunig mentioned in her comment, I like to recommend the book Bred for Perfection by Margaret Derry. 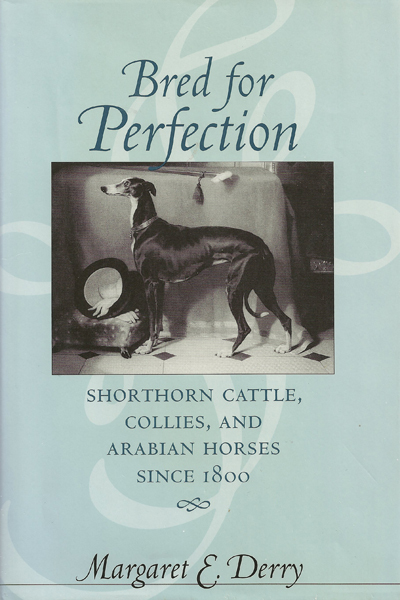 In the book Derry explores how culture, economics and the (then new) science of genetics shaped the world of stud books and animal breeding. She doesn’t shy away from the less appealing aspects of that history – namely the close association with eugenics and social Darwinism – but she does so in a less sensationalistic way than many. The dog world has also had some interesting experiments with out-crossing. 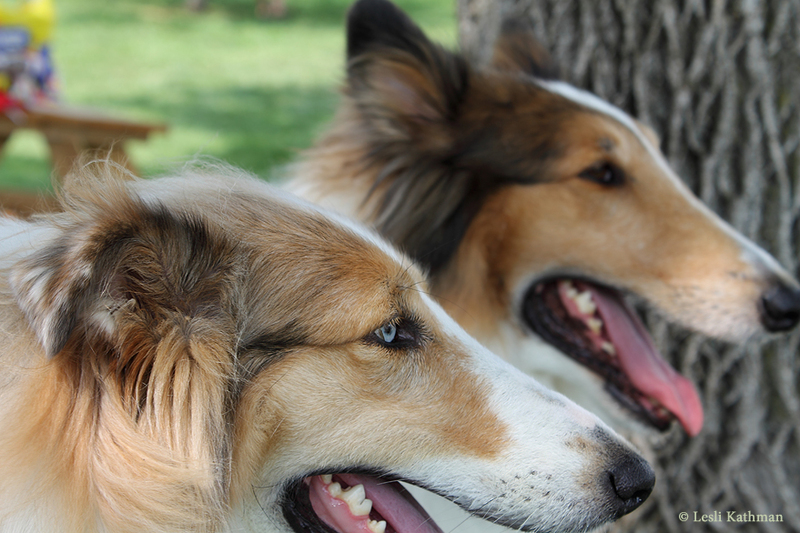 Closed registries are the norm for dogs, so these have all been very controversial. Among horses relatively few breeds maintain completely closed stud books, and fewer still are willing to pay for that choice in the way that dog breeders are. 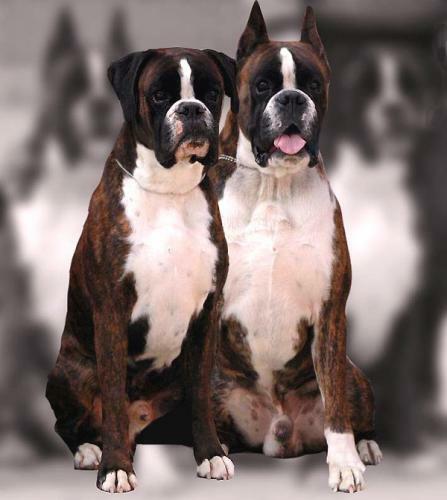 There was also a great post on the Terrierman blog about the importance of provenance in selling breeds. The Terrierman blog has a lot of great posts about genetic diversity, though that recommendation comes with two caveats: 1) the blog is routinely sprinkled with unrelated politics that readers might or might not appreciate and 2) temperance and diplomacy are not really the style there. 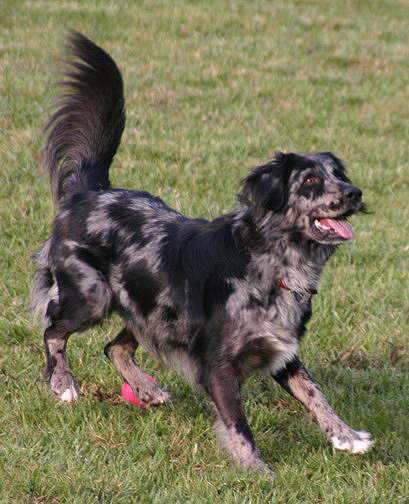 (He also takes exception to the color merle, which of course is not going to fly around here at the House of Blue Dogs!) Still it is consistently an interesting read, and it is worth exploring the (vast) archives there. There is also the BBC program “Pedigree Dogs Exposed” which one of the comments referenced. To say that the program ignited a firestorm would be an understatement, and in parts it is certainly sensationalized. Still, what it portrays is happening, and perhaps something like this was the only thing that would push people to look at the issues involved. 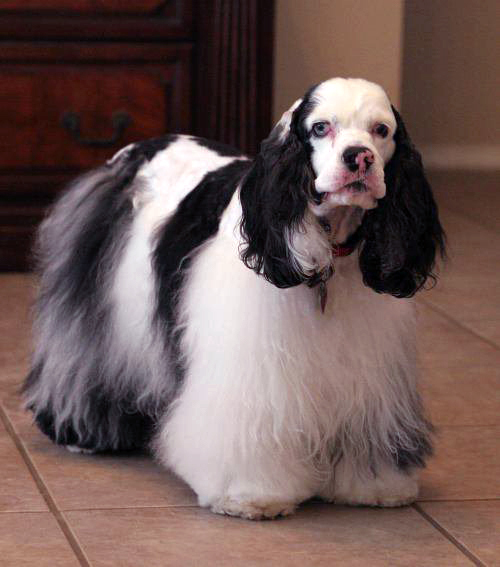 Since it aired, studies have been conducted and some preliminary actions taken by the British Kennel Club. For this reason, the KFPS believes that carrier stallions should remain in the breeding pool. In addition, it should also be possible to approve young carrier stallions on the condition that they possess extra qualities. If we do not implement this policy, 1 in 3 young stallions will automatically be rejected on the basis of DNA testing. One in three. And what are they carrying? Dwarfism. Twelve of the current stud book stallions are carries of dwarfism. Hydrocephalic Foals. 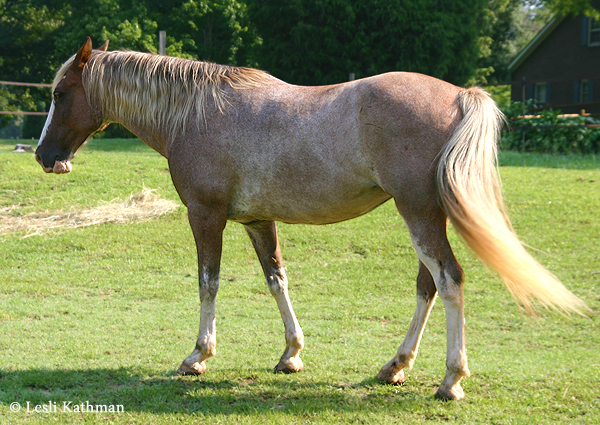 Sixteen of the current stud book stallions are carriers of hydrocephalism. The effective breeding population is too small, and the defective genes so widespread that culling the carriers would probably narrow the gene pool enough that new defects would appear. That is what has happened in many dog breeds. It is exactly what should concern horse breeders, particularly those working with rare breeds with limited populations. 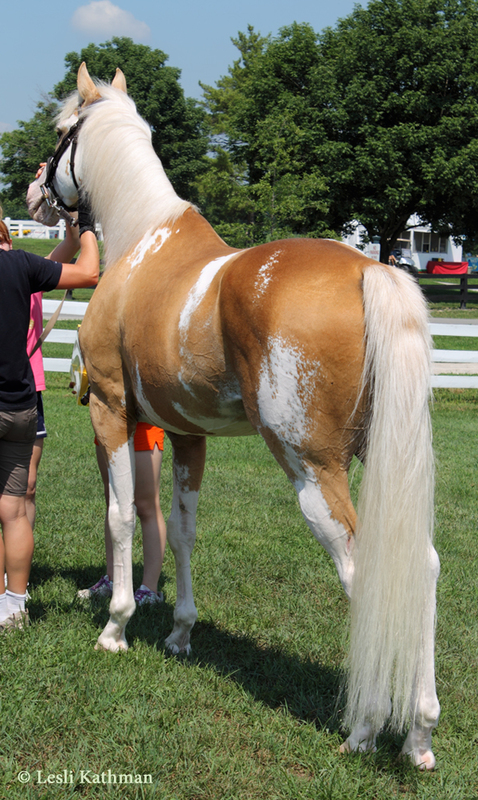 That is why many rare horse breeds have actually relaxed their color restrictions. 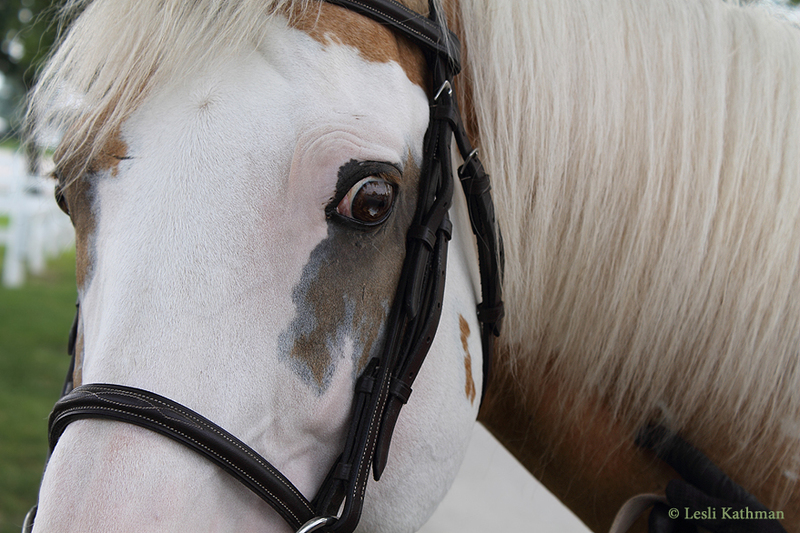 They may still have strongly worded preferences for colors or markings, but off-colored or mismarked horses are not automatically removed in many breeds. Ironically, one of the breeds that does do this is the Friesian, which does not allow chestnut carriers as breeding stallions. This puts the registry in the awful position of permitting damaging defects if the horse is otherwise “of good quality”, but banning something as inconsequential as color no matter how nice the horse. As with dog breeders, this kind of disconnect with simple animal welfare undermines the assertion that purebred breeders are guided by a higher standard of ethics than “backyard” breeders. Were it possible to expand the gene pool, culling could be accomplished without raising the inbreeding level to still more dangerous levels. Even without outright culling of carriers, introducing an outcross line can dilute the overall incidence of the defective gene. 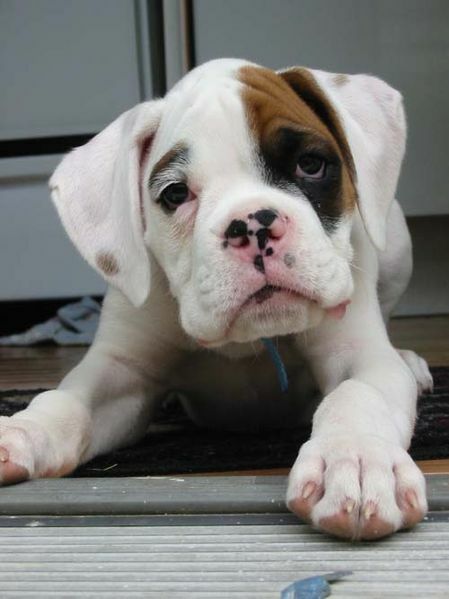 The fact that there are animals breeders out there who will choose “purity of blood” over solving serious health issues is something that deserves more attention. It isn’t a particularly comfortable discussion for a lot of breeders, and it points to the need for a very different mindset when it comes to breed stewardship, but it is one I personally feel must happen.